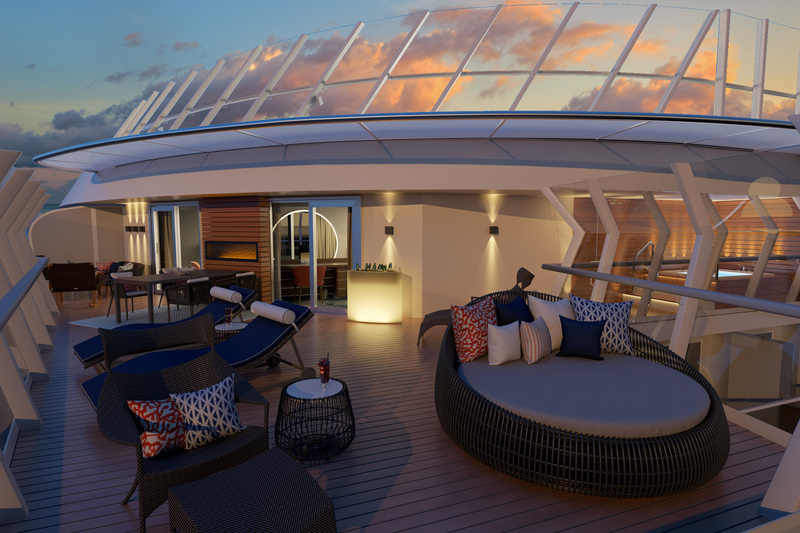 Underscoring the tremendous popularity of its balcony staterooms, Carnival Cruise Lines will add balconies to a number of cabins on two ships during upcoming dry docks over the next few months. Staterooms on the Carnival Destiny and Carnival Triumph that currently feature floor-to-ceiling windows will be retrofitted with private balconies, creating a total of 48 additional 230-square-foot verandah staterooms on these vessels. 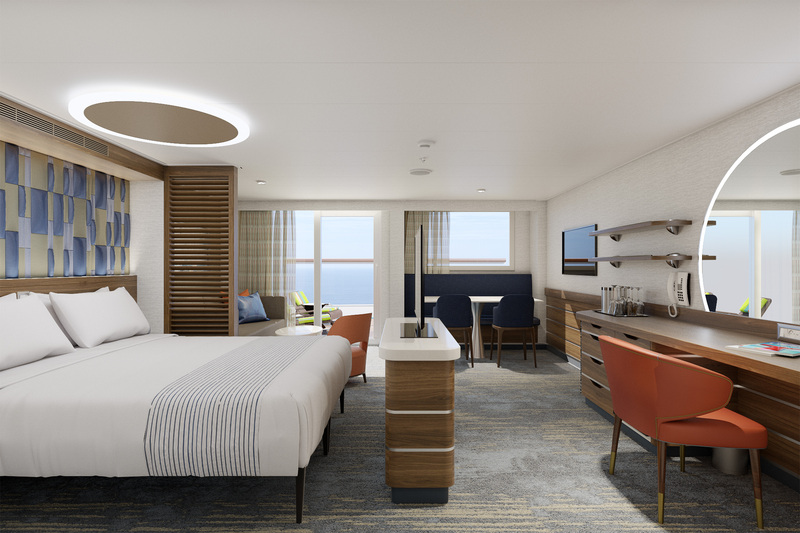 Additionally, two new 750-square-foot “deluxe penthouse suites” – nearly double the size of the largest staterooms in the fleet – will be added to the Carnival Liberty. 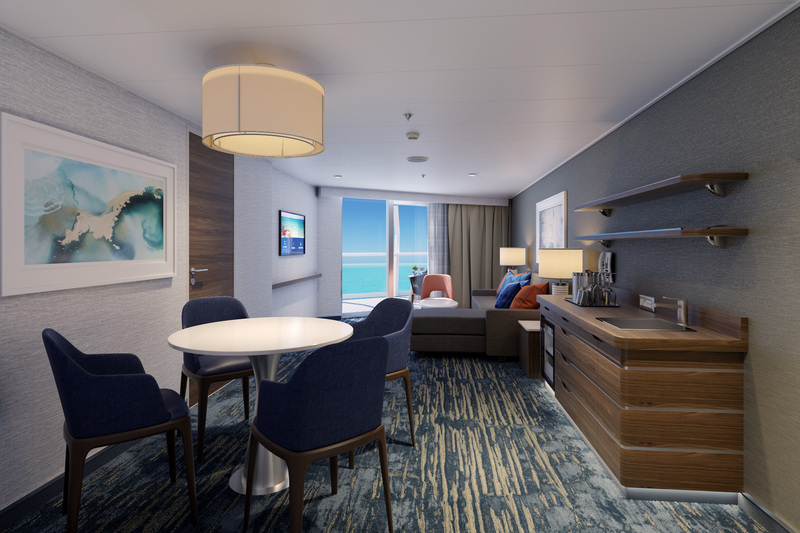 “Balcony staterooms continue to be in great demand – in fact, they’re often the first cabin category to sell out,” said Ruben Rodriguez, Carnival’s executive vice president of marketing and guest experience. “Therefore, we are pleased to incorporate additional balcony staterooms on Carnival Destiny and Carnival Triumph, which will offer guests their own private, relaxing venue for viewing magnificent ocean vistas and scenery,” he added. 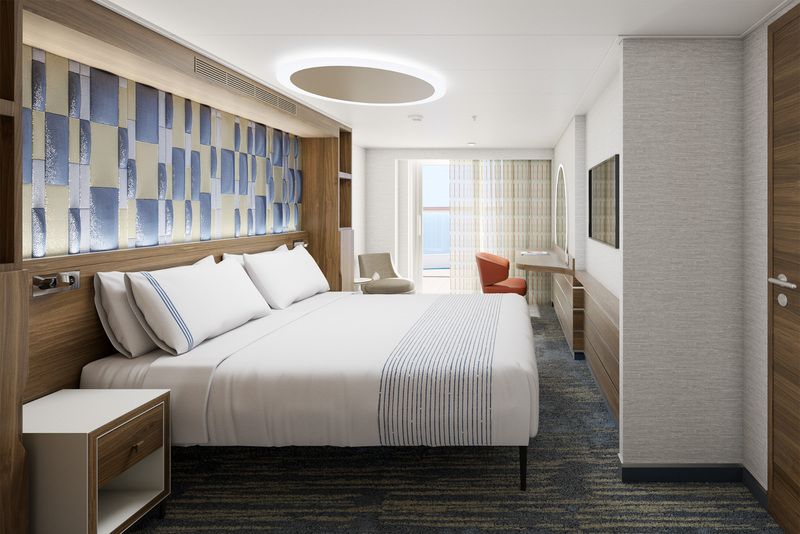 Like all “Fun Ship” accommodations, the new balcony staterooms on the Carnival Destiny and Carnival Triumph will offer a host of in-cabin amenities, including the popular Carnival Comfort Bed sleep system with plush mattresses, luxurious duvets and high quality linens and pillows. Carnival balcony accommodations also include soft terrycloth robes for guest use during their cruise, as well as satellite television, mini bars, hair dryers, ample closet space, and in-cabin amenity kits with a wide array of brand-name products. 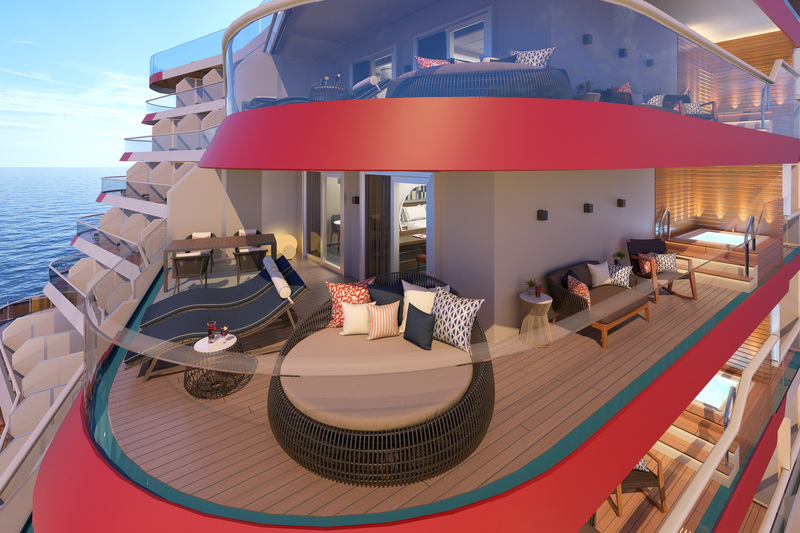 The two new 750-square-foot “deluxe penthouse suites” on the Carnival Liberty will be largest in the “Fun Ship” fleet by far and feature a new cabin configuration with a separate bedroom, expansive living area, and two full bathrooms, including one with a bathtub tub. Located on the ship’s forward section on Deck 9, the deluxe penthouse suites can accommodate up to five guests – rare in cruise industry staterooms – and include two twin beds that convert to a king, a sofa bed and two pull-down upper beds. The 2,642-passenger Carnival Destiny began a new program of year-round four- and five-day Caribbean cruises from Miami last week. The 2,758-passenger Carnival Triumph will continue its seven-day Caribbean schedule from Miami through next summer then sail on a series of Canada/New England voyages from New York before repositioning to New Orleans to launch year-round four-, five-, and seven-day Caribbean service in November 2009. The 2,974-passenger Carnival Liberty, which currently operates seven-day Caribbean cruises from Miami, will reposition to Europe next summer to operate 12-day voyages to Northern Europe and the Mediterranean. The ship will resume its weeklong Caribbean program from Miami in December 2009. The new balcony staterooms on these three vessels will be available for sale on October 3, 2008. 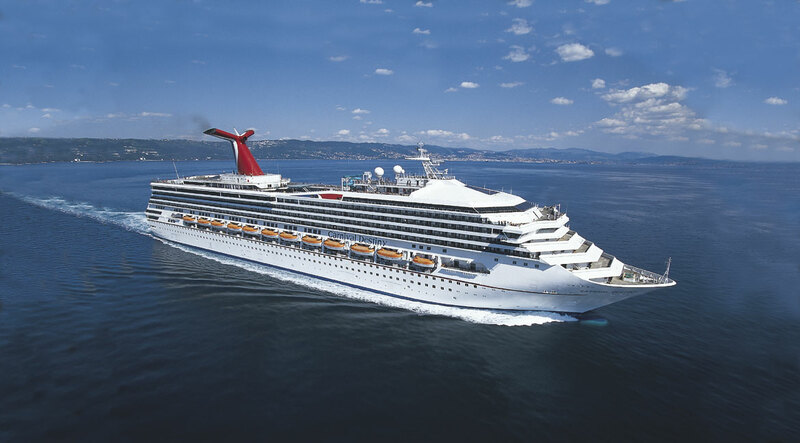 Carnival Destiny, Carnival Triumph and Carnival Liberty are part of the line’s 22- vessel “Fun Ship” fleet which operates three- to 18-day voyages to The Bahamas, Caribbean, Mexican Riviera, Alaska, Hawaii, the Panama Canal, Canada, New England, Bermuda, Europe and South America. The line has two new ships scheduled to enter service between now and 2011.